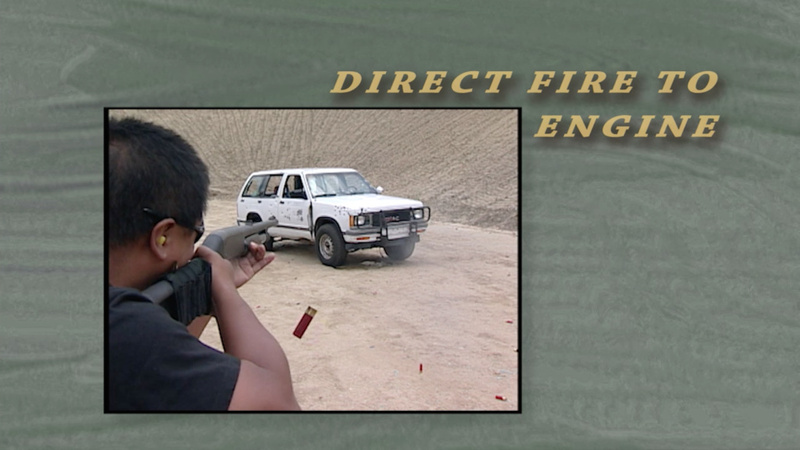 A still from a Los Angeles County Sheriff's Department training video. The clip tells deputies that firearms are not effective at disabling moving vehicles. A new KPCC analysis of police shootings finds that law enforcement in Los Angeles County shot at moving vehicles at least 28 times between 2010 and 2014. The finding arrives amid a heated national debate about police use of force, with shootings into moving vehicles coming under particular criticism from law enforcement experts, who consider them dangerous and ineffective. The Los Angeles County Sheriff's Department accounted for 10 of the shootings in the county, by far the most of any single agency. 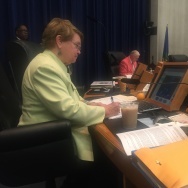 The sheriff's recently rewrote its policy to essentially ban firing at moving cars, a change made after a KPCC investigation into the practice. The Los Angeles Police Department had only two moving vehicle shootings in the cases reviewed by KPCC. 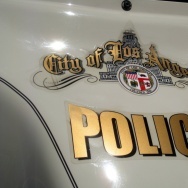 The LAPD revised its policy back in 2005, to prohibit officers from firing on cars in nearly any circumstance. The only other police agencies with multiple shootings at moving vehicles were the smaller jurisdictions of El Monte and Glendale, which each had two. Yet many smaller police departments in the region had a single shooting. These agencies span the county, from South Gate and Torrance to Azusa and Alhambra. The agencies with multiple shootings, including sheriff's and police in Los Angeles, El Monte and Glendale, have policies that dictate when and if an officer can fire on vehicle. Among them, the Glendale Police Department's policy is the most lenient. Glendale's policy explicitly allows officers to fire on cars they perceive to be weapons. While vehicle shootings are "generally discouraged," the policy states it "is not intended to restrict an officer's right to use deadly force directed at the operator of a vehicle." In contrast, policies at other agencies in Los Angeles County or that were involved in a shooting in the county — including the LAPD, El Monte PD, Pasadena PD, Long Beach PD, Fullerton PD, the state parks department, and the state corrections department — do not carve out an exception for vehicles perceived to be weapons. The new policy of the L.A. County Sheriff's Department specifically prohibits deputies from firing upon vehicles perceived as weapons, stating "the moving vehicle itself shall not presumptively constitute a threat that justifies the use of force." The LAPD uses similar language. Shootings at moving vehicles are condemned by the U.S. Department of Justice, among others. The tactic is also considered ineffective by experts who argue that even a successful shot at a driver can lead to a car barreling through city streets, while an unsuccessful shot can injure or kill a bystander. "The argument that the vehicle was being used as a weapon generally doesn't hold up," said Dennis Jay Kenney, a criminal justice professor at John Jay College. "If you have time to make the shoot/don't shoot decision and shoot, then you also undoubtedly had time to get out of the way." The Glendale PD's shootings, in 2010 and 2011, both involved officers firing at moving cars that they perceived as life-threatening. In both cases, no firearm was present inside the vehicle. An attorney with the Glendale PD said no one at the department was available to comment on their policy. KPCC reached out to each agency listed in the chart below; many did not respond to the request. 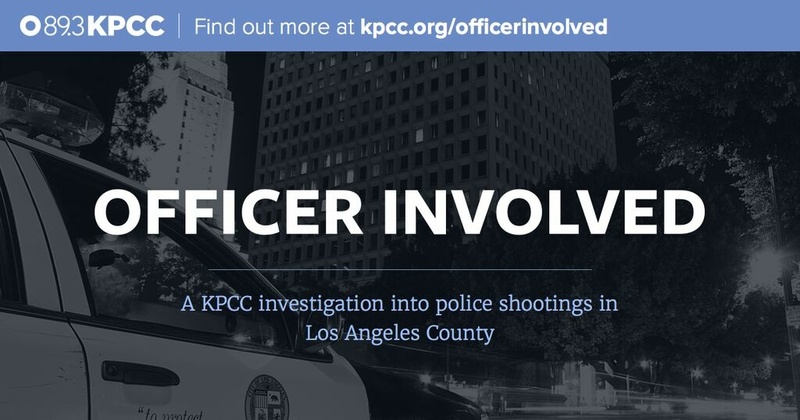 The 28 moving vehicle shootings across L.A. County represent about eight per of the more than 359 officer-involved shootings reviewed by KPCC in the Officer Involved project. 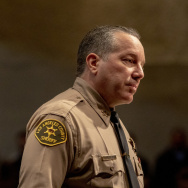 Following a KPCC investigation into moving vehicle shootings at the Los Angeles County Sheriff's Department, that agency revised its policy on deputies firing at moving vehicles to essentially ban the practice. Now, it's up to the training bureau to spread the word about the new guidelines throughout the largest sheriff's department in the nation. One crucial tool: a video that puts the new, restrictive policy in front of thousands of deputies. The policy instructs deputies not to fire at cars unless deadly force other than the car is present, such as a gun. A clip shows five different guns riddling an SUV with bullets. After taking dozens of shots, the car is still able to drive a mile away from the demonstration. The message? Trying to disable a car with a gun doesn't work. The video also stresses the concept of "tactical relocation" — essentially, deputies moving out of the path of an oncoming vehicle, rather than firing at it. It can be impossible to tell if a driver is trying to escape or use a vehicle as a weapon, the video says. "Every single sworn member of our department will see that video," said Captain Scott Gage, who leads the sheriff's training efforts. He added that training on moving vehicles is particularly challenging, since driving a car at a deputy in a training exercise would be "very dangerous." The success of the training on the new policy—which was also emailed to every deputy and detailed in a newsletter — will be simple to track, he said. "It will be pretty easy to measure if we see a reduction in shootings at moving vehicles over the next couple years." This story is part of a KPCC investigation into officer-involved shootings in Los Angeles County.